We all know the feeling. You’re late. You’re a bit hungover. You squeeze onto a packed tube train. It smells. It’s warm. You get delayed. You feel a bit travel sick. You get elbowed in the face. Ugh, sorry. We beat your heart rate is slowly creeping up as you read this. Well, we might have a new solution for you: JIVR Bike. To those not in the know (I wasn’t until I started researching this article), e-bikes aren’t the unwieldy yet weirdly futuristic gadgets you’d be expecting. A slew of new brands have emerged that are creating e-bikes built for regular people, with stylish designs, no-fuss maintenance and plenty of power to get you from your home to the office without any Hunger Games style commutes to contend with. And the newest, most stylish option on the market is the JIVR Bike, an e-bike that’s just launched a Kickstarter campaign and is on a mission to revolutionise the way we get round cities. We actually wrote about the JIVR Bike, when it was known as JIVE, this time last year, but since then the team has perfected its proposition, integrated ground-breaking iBeacon tech into its product and dreamt up an ambassador programme designed to give e-bike fans a JIVR for a discounted price. 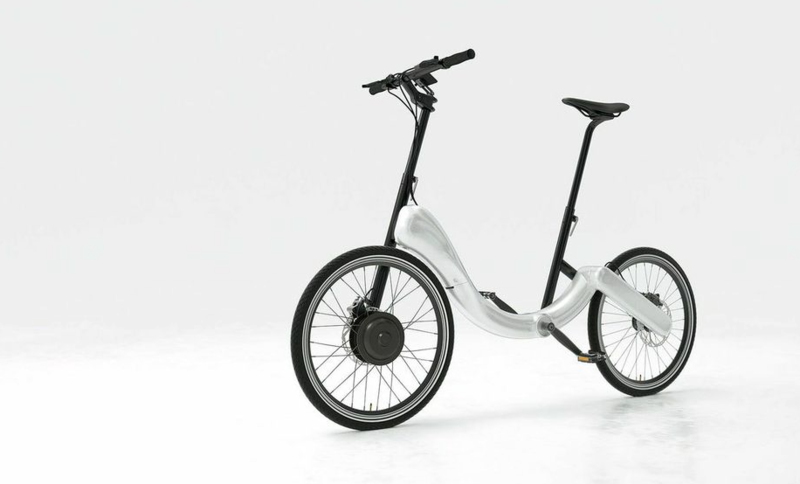 The JIVR Bike has a chainless drivetrain and 350W motor inside its frame, which means you don’t need to deal with any of the hassle of a chain, like frequent maintenance and oily smudges on your clothes. Speaking of clean clothes, the fact the JIVR is electric means that you won’t have to work up a sweat if you’re riding one on your way to work. You can basically choose between three different modes: full electric, full manual cycling and assisted pedalling for the best of both worlds. On the JIVR’s full electric mode you can travel up to 15mph and it has a 20 mile range on a single charge – so for many people living in a city it’ll see you into work and back without the need to charge it up at work. In terms of looks the JIVR Bike has a similar style to a regular cycle, but a little more sci-fi with its lack of a chain and sleek, silver body. The thing that really sets the JIVR apart from similar offerings on the market is the fact it’s foldable. Sure plenty of bikes claim to be foldable, but the JIVR is designed to squish down to the size of one wheel, making it genuinely compact and much easier to just push under your desk throughout the day, or at 33lbs its even small and light enough to carry on the train if you’re only going to be using it for part of your commute. The JIVR Bike is also beacon-enabled, which means as more and more developers create iBeacon tech it’ll be able to interact with other smart devices around you and join the ‘internet of things’ world. So will the creation of compact, good-looking e-bikes really signal the end of the crazy, soul-sucking commute? Well, possibly. Although there are still many reasons why people wouldn’t want to commute on an e-bike, like safety concerns, the JIVR Bike could well appeal to those looking for different commuting options who have been put off by the mess and maintenance involved with a traditional cycle in the past. JIVR Bike is already on its way to hitting its Kickstarter goal of £70,000 and has raised more than £17,000 at the time this post was published. You can check out the JIVR Bike Kickstarter page for more info and if you live in London you can still get your hands on one as part of the brand’s new ambassador programme for £699. All you have to do is tweet about your JIVR Bike and mention the brand, which we imagine most fans would probably do within minutes of receiving the bike anyway! We’d love to hear what you think of e-bikes and JIVR. Do you think it looks stylish? Or do you prefer more traditional-looking cycles? Meet us in the comments below! 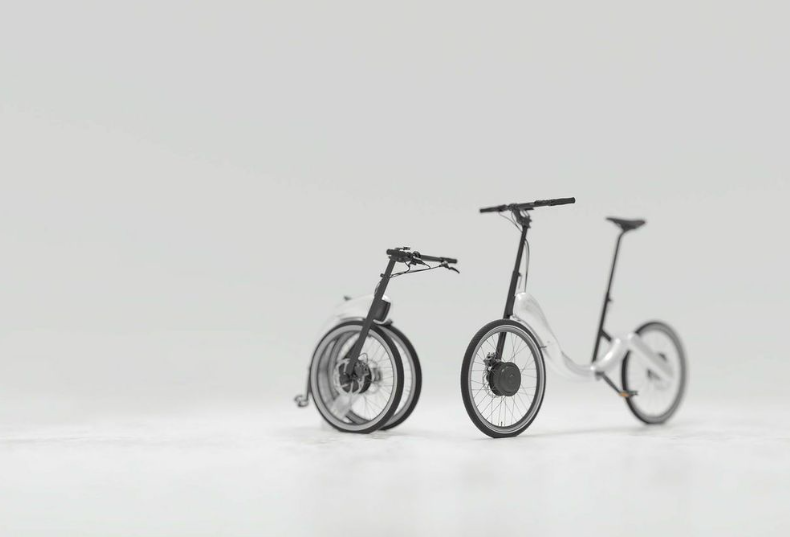 Disclosure: ShinyShiny.tv’s sister agency, Sutro Digital, has been working with JIVR Bike to launch its Kickstarter campaign.